– Attach a shopping list to your "Buy Groceries" To Do. 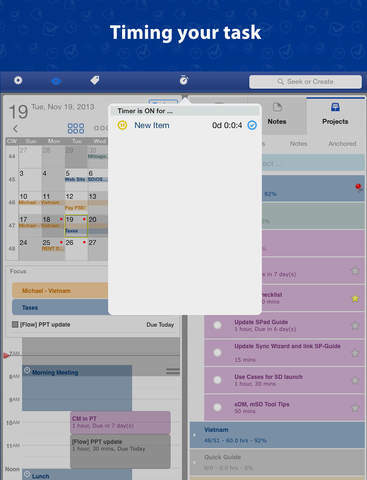 – Add notes for a meeting scheduled in your Calendar. 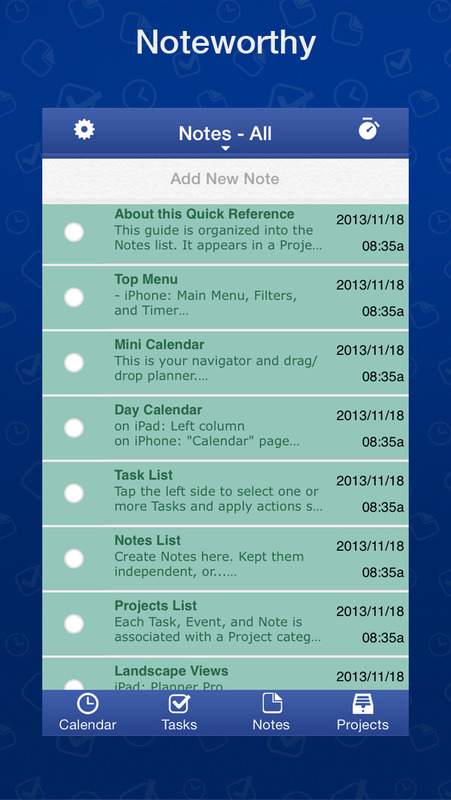 – Include checklists in your notes. 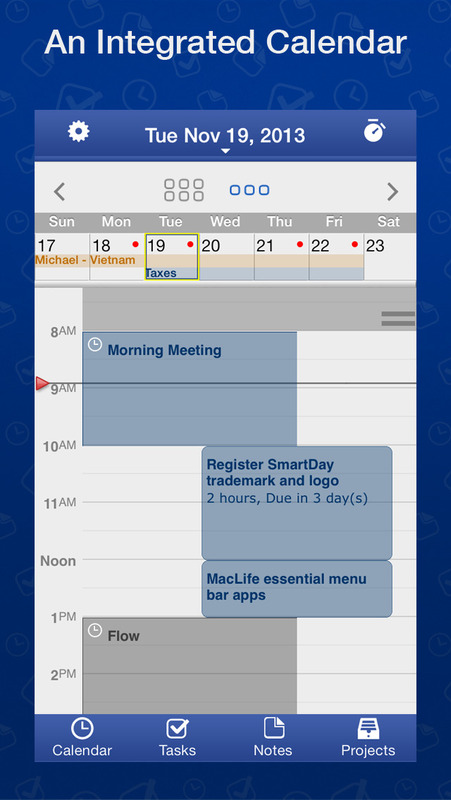 – ‘Auto Schedule’ places your tasks directly into the calendar timeline, to show when they can be completed. 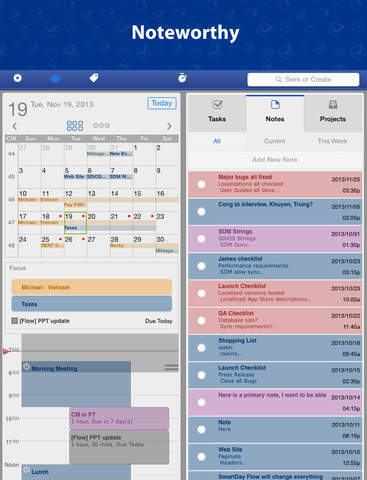 – Or, drag a task directly into your calendar to set a specific time. 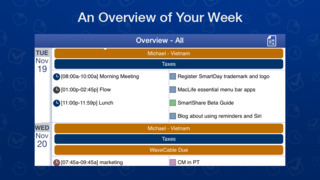 – The Task list also shows how many tasks you can do, day by day, for the next week. Drag and drop to re-arrange.